Last week, I sat in the comfort of my home in Tampa, FL with my family, visiting me from Ventnor, NJ, our tiny beach town on one of the barrier islands in South Jersey. 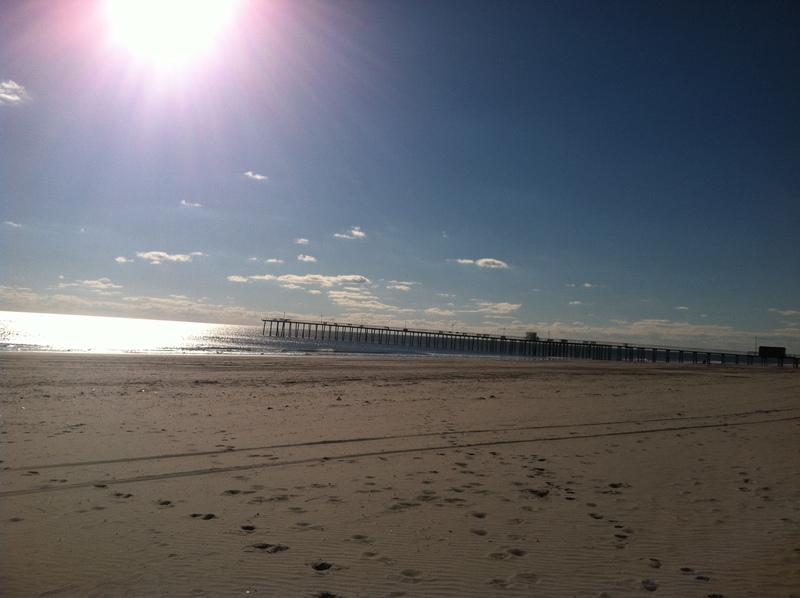 We anxiously refreshed all of the weather and news websites, hoping that Sandy wouldn’t make that dreaded turn towards the shore. When she did, we searched for all the news we could find about our tiny home town. We talked to neighbors who hadn’t left the island, worried about how much damage would be done to the house, hoping that the family cat would be okay, but thankful we were all safe and sound, thousands of miles away. My parents were finally able to fly back to Jersey on Thursday morning, and then were able to get back to their home on Friday afternoon. My family was so incredibly lucky, as water from the storm was only in the crawl space (under the house) and an inch or so into the closet leading to the crawl space. Salt water from the bay got into one of the cars, but other than that, we were one of the lucky few. As I look at the pictures my friends from home are posting on Facebook, my heart aches. There is so much loss. And yes, most of it is just stuff. Stuff can be replaced, and it is being replaced! My heart warms to see the outpouring of love and generosity- not just through the typical channels- Red Cross, the benefit concert- but through the use of social media. 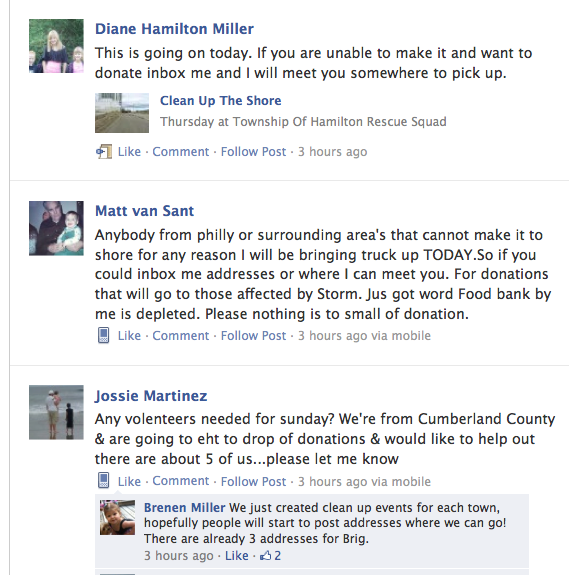 My Facebook news feed is FILLED with posts of people volunteering their time and resources to help with the clean up. I am so moved! Jersey has this rough reputation, and when you mention the Jersey shore, everyone immediately thinks of those dummies on that awful TV show. But that’s not the real Jersey shore. This is. The people in Jersey care for each other. We live in a tight-knit community; we’ve gone to school with the same kids from kindergarten to 12th grade. Everyone knows the Magees or the VanDuynes or the Smiths (just to name a few!) We want to rebuild, and to be a better, stronger community. 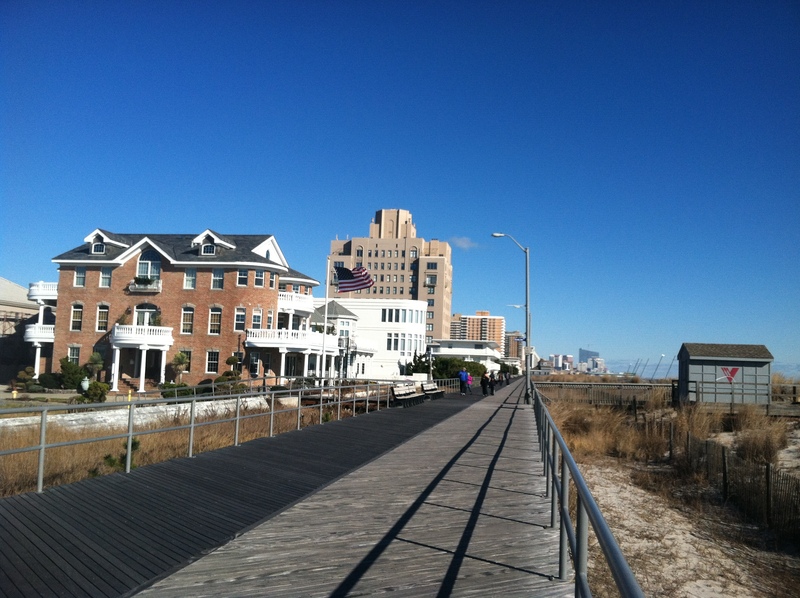 To me, the Jersey shore means family. It means friends. We didn’t need a tragedy to bring us all together- we know there’s someone who lives down the street or maybe even 20 minutes away who would lend a helping hand, some food or a warm bed to sleep on. But it is so heartwarming to see it all roll out for all to see via social media. 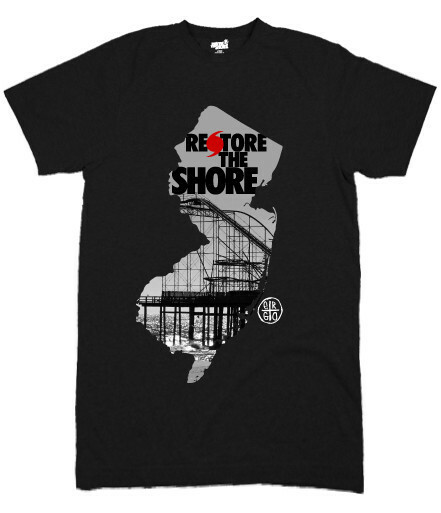 We will rebuild South Jersey. I’m proud to be a Jersey Girl. I’m happy to hear your family’s house made it through the storm! 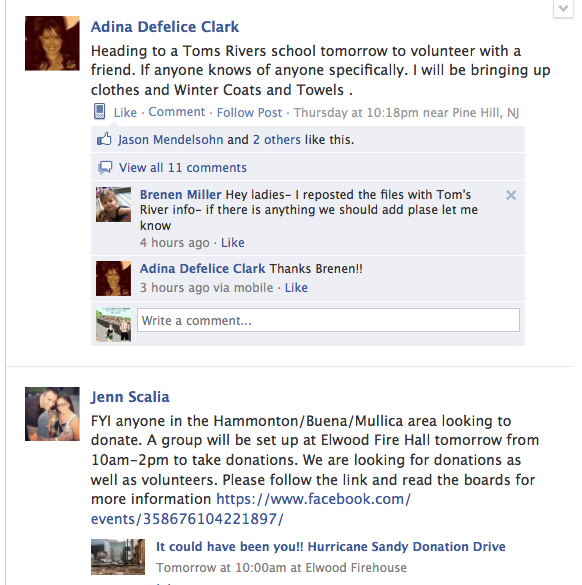 I too have been hearing horror stories from my friends in NY and NJ and it’s very sad to see all the damage. I used to go to school in NY and it’s crazy to think that so many of my old hangouts have probably been flooded or very badly damaged. NY got hit hard. It’s terrible but the power of human compassion is incredible!